You may have read in a previous post how I think steak is one of the foreign foods that Thailand does very badly. Of course, such claims usually carry disclaimers, and there are indeed exceptions to the rule. And while places in Bangkok that do good steak tend to be pricey, Trajai boasts both good quality western meals and prices closer to Thai costs. Steak of all denominations can be found here, from beef classics to chicken and fish and even more exotic offerings such as crocodile and ostrich. You can try them individually or in combos. My favourite item, though, strays from the western path and into Thailand’s northeast. Yes, Thai steak disappoints more often than not, but Trajai’s Isan steak is a satisfying plate of tangy comfort food. The poor quality of the average Thai steak is not in the meat itself, but rather the amateurish cut selection. But Trajai knows its meat, and the grilled tenderloin is cooked just right and dished up with fiery jim jaew sauce and sticky rice. If the oddities of crocodile and ostrich pique your interest, they’re also well worth an order. Similarly to my Thai steak rant, I have also bemoaned the poor standard of Indian curry often found in Thailand. But, again, there are exceptions, and the best of these is Namuskaar, off Sukhumvit Soi 8. Housed in a low-key place tucked down a tiny, nondescript alley, no fanfare is made of Namuskaar, unlike its brightly lit yet invariably inferior counterparts in the main tourist strips. The menu is not extensive, but it doesn’t need to be, as quality over quantity is the key here. For anyone already au fait with Indian food, none of the menu items will be new to you, but they are all very well done and, importantly, the spicier offerings deliver the kick that is missing elsewhere. My personal favourites are the chilli chicken, the madras or vindaloo. Deboning the meat costs more, but it is recommended to save yourself the hassle and to get more meat. The garlic mixed naan is a perfect accompaniment to a curry, and the salted lime juice or lassis are more refreshing than they sound. 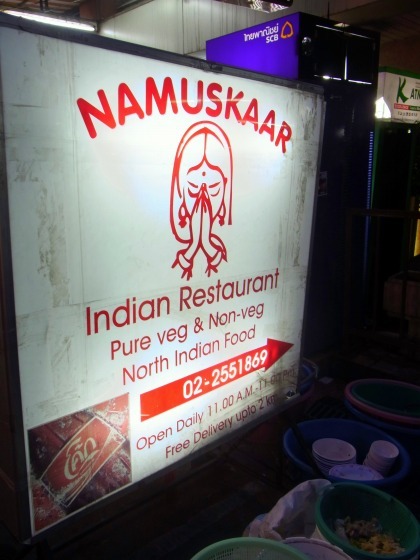 If you’re tired of the bland, disappointing Indian fare that is so typical of Bangkok, head to Namuskaar. 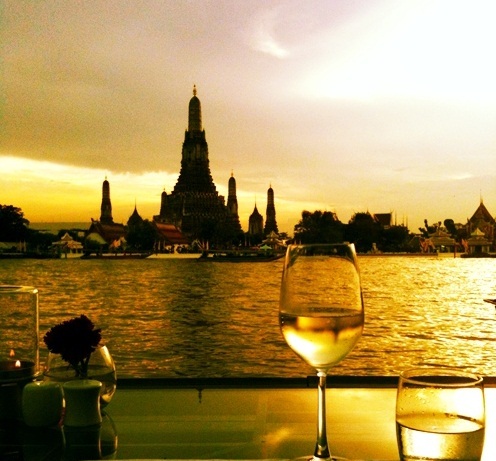 Dining (almost) atop Thailand’s tallest building is a must-do experience. No, the food is not hi-faluten, but it’s perfectly acceptable, and the international buffet boasts enough variety to hold the interest. Yes, there are plenty of other sky-high dining establishments in the city, but again, this is the very highest, and importantly, it’s very affordable. 720 baht will grant you a window-side table on the 83rd floor, two hours of all-you-can-eat fare (but no drinks) and access to the revolving viewing platform at the very top of the 304-metre-tall skyscraper. The food on offer includes Thai, Japanese, Chinese, Western, salad, fruit, ice cream, a grilling station and a personal table-top nabe hotpot stove. But the main course is the feast for the eyes that accompanies your meal, be it lunch on a sunny day or at night with the full scale of the city evident as its illumination stretches to infinity. After the meal, head to the viewing deck and watch Bangkok revolve beneath you, spot landmarks and be amazed at how small the other buildings look; even those which look enormous from the ground. If you don’t want a full meal, you can also buy a ticket for the observation deck only for 300 baht, which includes one drink at the bar on the 83rd floor. Baiyoke Sky is an ideal date location for those familiar with Bangkok, and a striking visitor attraction for tourists. A list of best restaurants is perhaps incomplete without something a bit more high-end, and while there are glut of such establishments in Bangkok, few of them boast enough character to separate themselves from the crowd. Sala Rattanakosin, though, stands out for the several reasons, and for one reason most of all – the view. Executive chef Tony Wrigley reckons his restaurant boasts the best view in Bangkok, and he might be right. While there are myriad sky-high eateries around town, Sala sits right at ground level, riverside on the Chao Phraya, and so close that the water almost laps at your feet. And slap-bang across the water looms the magnificent Wat Arun (Temple of Dawn), one of Thailand’s most iconic buildings. After dark, the temple lights up in all its glory, while silhouetted boats float by in front of it. It’s a location and a sight that can’t be beat. The food, too, is well recommended. The menu offers a balance of Thai, western and fusion, and Thai diners who’ve eaten at Sala will attest that, indeed, a farang can rustle up local fare just as good as the natives can make. The prices are below average for the standard of food and style of restaurant, making it an ideal spot for dates or special occasions without breaking the bank. Or, if you just want drinks, the upstairs bar offers the same grandiose view. Sala is also a boutique hotel, and situated as it is in the heart of the old city and all its tourist attractions, it would make for a great starting point for any newly arrived holidaymakers. Jareung is the only restaurant in the Bangkok area that offers aharn pa, or, literally, wild food. While its produce actually comes from farms, Jareung aims to replicate the fare you might find in the deepest jungles of southern Thailand. Such communities live off whatever they can catch in the forests and rivers, and the food is usually highly spiced so that it keeps longer where electricity – and thus refrigeration – is not available. So expect oddities such as crocodile, frog, eel, wild boar, wild chicken, rabbit, deer, goat and the restaurant’s showpiece, cobra, cooked up in curries, stir-fries and broths using herbs and spices you might not find in standard Thai fare. 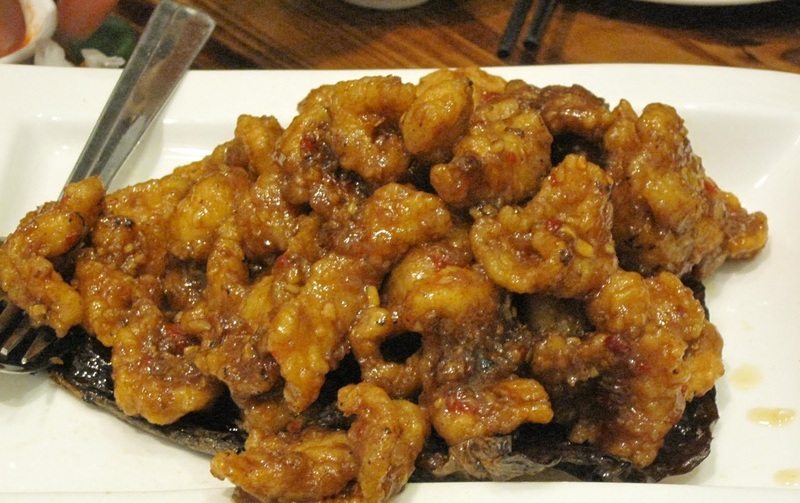 Less adventurous diners can try the recipes with ordinary chicken, pork, fish, and so on. The “wild” experience is enhanced by Jareung being a little out of town, in a leafy suburb, tucked away from the noise and traffic, and quite hard to find. 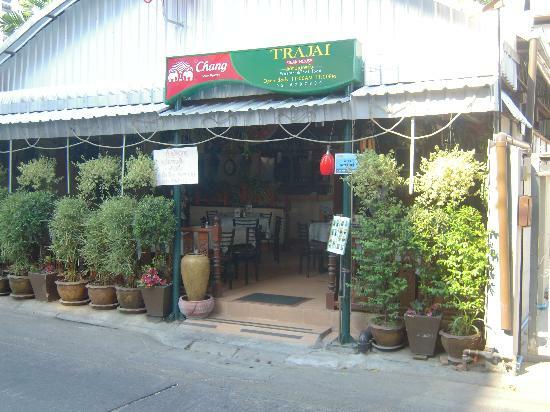 Jareung is situated in Phathum Thani – Bangkok’s neighbouring northern province – down a side road off Phahon Yothin Road, a major artery out of the capital that stretches all the way to Burma. 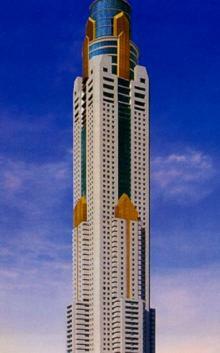 The nearest point of reference is Future Park Rangsit, a huge mall. Your best bet if unfamiliar with the area and/or if you can’t speak Thai is to go with a local friend or take a taxi and ask the driver to call the restaurant for directions. 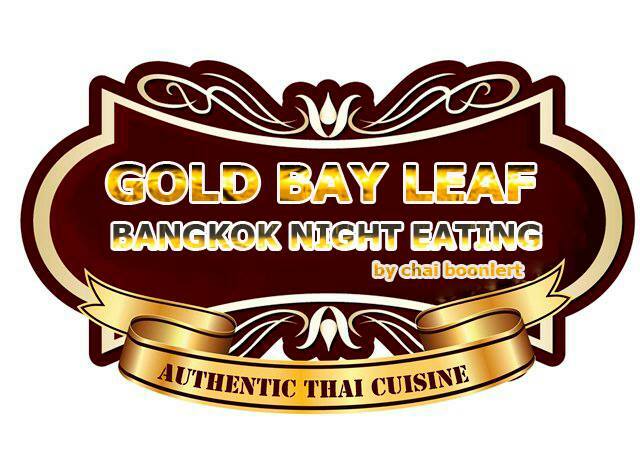 I took Dad and Angela to the Gold Bay Leaf and they loved it. I’ll take you next time you’re here.